Backyard Spring Nature in New Jersey. Early purple crocuses flowers from across the street. 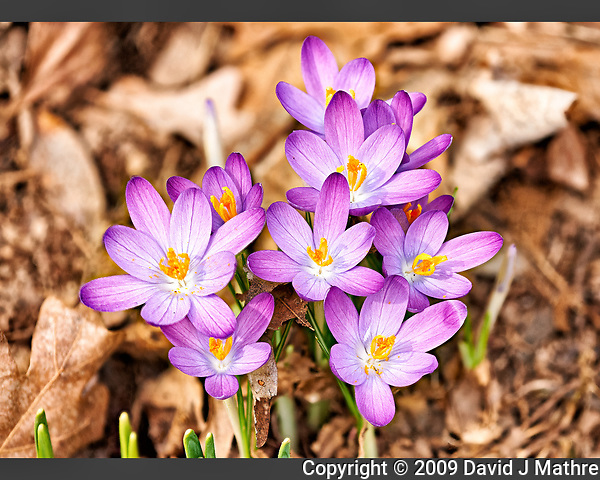 This is a composite of many images using the focus stacking program from Helicon Focus. A little bit bright, and requires calm conditions (little or no wind).